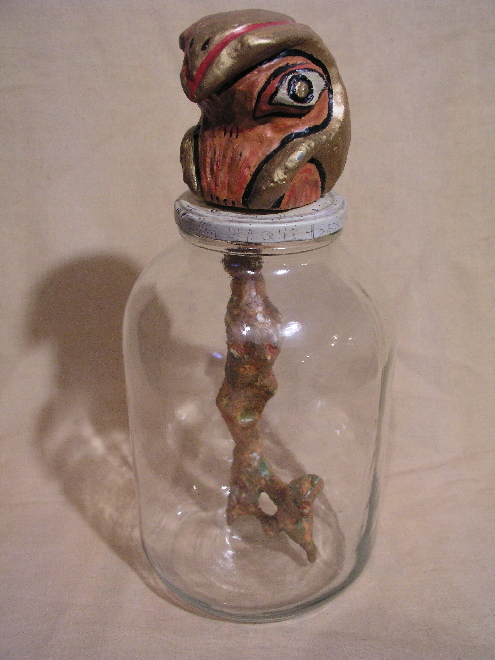 Collectivator :: Four Canopic Jars - 2nd jar of the series, titled "Quebehsenuf"
Canopic Jars - Summer 2001 - From the Show: Tut's Treasures: The Loot that Carter/ Carnarvon Overlooked. On mummification, the Egyptians removed four organs to be protected in special jars for use in the afterlife. The guardians were the four sons of Horus - Imset, the human head, protected the liver. Hapy, the baboon head, protected the lungs. Duamutef, the jackal head, protected the stomach. 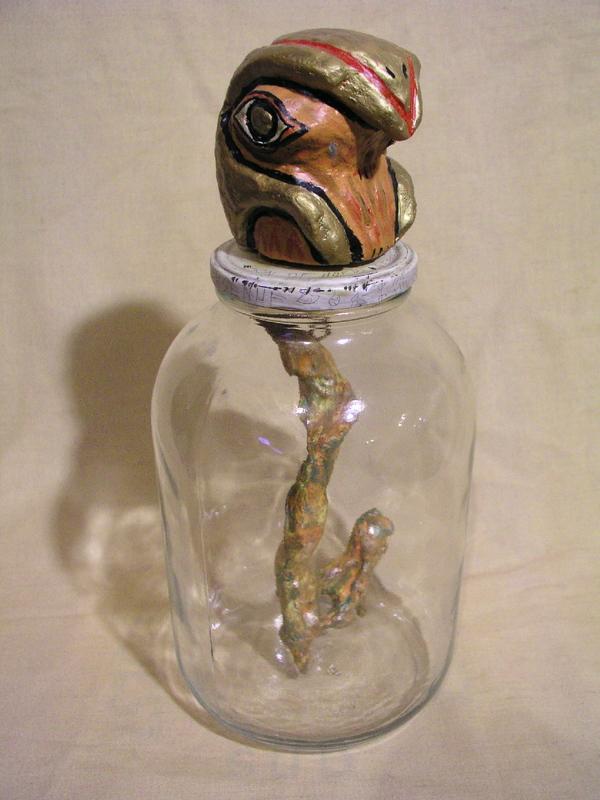 Quebehsenuf, the falcon head, protected the intestines. Materials - large mustard jars, soft stone material found on beach, tree root, metal pieces, wire This is the second in a series of 4 jars, listed here separately. The price is for the complete series of four jars. 15" tall, 8" diameter.